Hmm, I am a little baffled that every time I cut bits out of sheet of plywood, it always leaves the sheet looking like a B2 bomber. 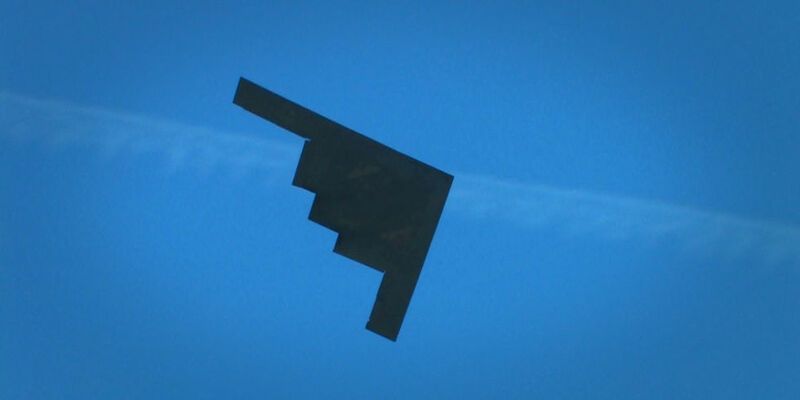 * convergent evolution on the parts of plywood and jet bombers * the B2 is made out of plywood *trees are so bored at ending up as wardrobes, they are trying to acquire the ability to fly, so as to escape the human race. In WW2, because of light alloy shortages, the Germans built jet aircraft like the Volksjäger and the Natter out of wood. The British built the Mosquito of plywood, not so much because of a shortage of metal but more because it was a really good design. B2's make extensive use of carbon fibre. Wood makes extensive use of cellulose, also a carbon-based fibre. But we think it's mostly because the Universe is having fun messing with your head. Accidental foray into stealth design perhaps? Thank you for joining my cause of smashing the kingdomist arrogance of the evil animals that are poisoning and destroying this beautiful planet. Plants are pretty, peaceful and kind (except for venus flytraps which are hateful little bastards) and simply want to be left in peace to populate the planet and make it pretty. Then here come the fascist pig animals, us humans being at the forefront of the assault on these peaceful, beautiful beings with sap thirsty vegetarians leading the holocaust following psychopathic murders like Adolph Hitler* (a big time vegetarian) as they rampage through these delicate creature's fields, killing, maiming and destroying, just so they can sit on their carbon blueprinting butts and have their kale salad while extolling the virtues of their murderous diet that kills millions, nay, billions a year. 80 word run on sentence times 2 for including Godwin's law, sanctimonious factor of, I'm giving this a solid 10, for a total of....1,600 on the rant scale. But seriously, I think you have the captions crossed in your pictures no? Drat, drat and double drat ! You beat us to it ! Aww, Ref ! Unfair ! Actually, that was the Horten HO-IX, the granddaddy of stealthy flying wings. I know it well. Gotta say, at the risk of being ten times worse than Hitler*, that's a beautiful friggin' design. And NotM, bun for anything starting a discussion about the mysterious but deadly B2. Not only veggie, but a teetotaller .... you can't trust 'em, nasty bunch. But he did like dogs (right up to the point he had his dog Blondi poisoned in the bunker, that is). Winston, on the other hand, guzzled brandy, smoked like a chimney, and never stinted on the foie gras, venison and roast beef; and while he had numerous faults, being a psychopathic genocidal murderer probably wasn't one of them. One was very human and derived pleasures out of simple things, cigars, getting drunk, good food and lots of it. Liked the world around him and sought to defend it. The other considered himself above the common man who needed to derive HIS pleasure from molding the world to fit HIM. Read his entire WWII history, I have. Yoda turning into, you are. Could you make something out of little baffles? //the erroneously sensed negative angle of attack caused the computers to inject a sudden, 1.6g, uncommanded 30-degree pitch-up maneuver.// Ouch. It's not called "die-by-wire" for nothing, you know. In this case, no-one died, but that was only because they had ejector seats. Like I said, mysterious and deadly. Judge me by my syntax, do you? Up with this sort of nonsense, I should not put. Fun with this, I could have. The key to unlocking our potential, continuous effort is, not strength, not intelligence.